Last week went by so quickly! We’re locals here in Changzhou, bumping into people we’ve met in the street and making friends everywhere we go (love talking to strangers). 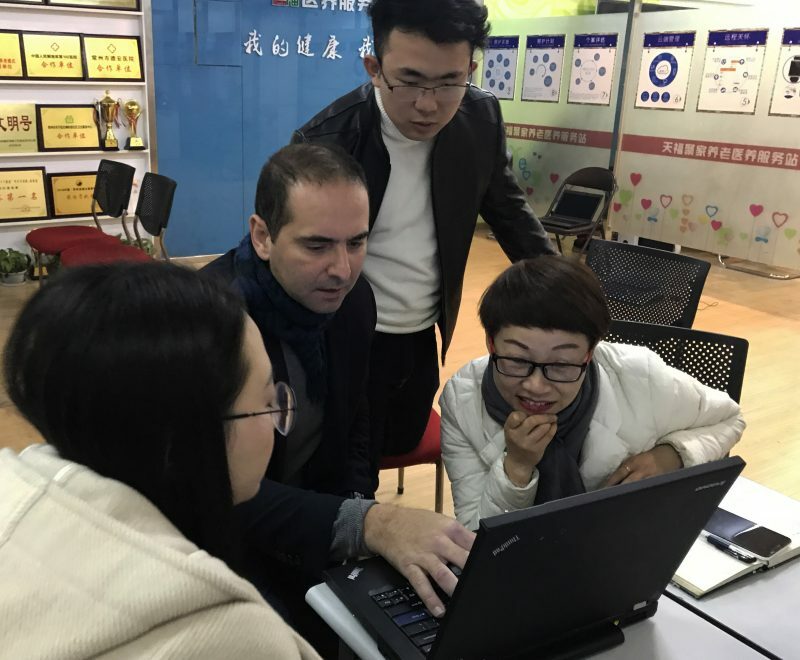 On Monday afternoon our team had a review with our client Ms. Jiang to show her the deliverables and she was really pleased with the work so far, which was brilliant news. In fact each group had successful days with their clients so a few of us had some western food for a change to celebrate haha! Tuesday, my team spent at the hotel cracking on with our work. It was seriously miserable weather outside but after a day working in the hotel, it was time for a walk. Four of had a wander around Changzhou with our umbrellas, followed by a couple of beers at a local bar. 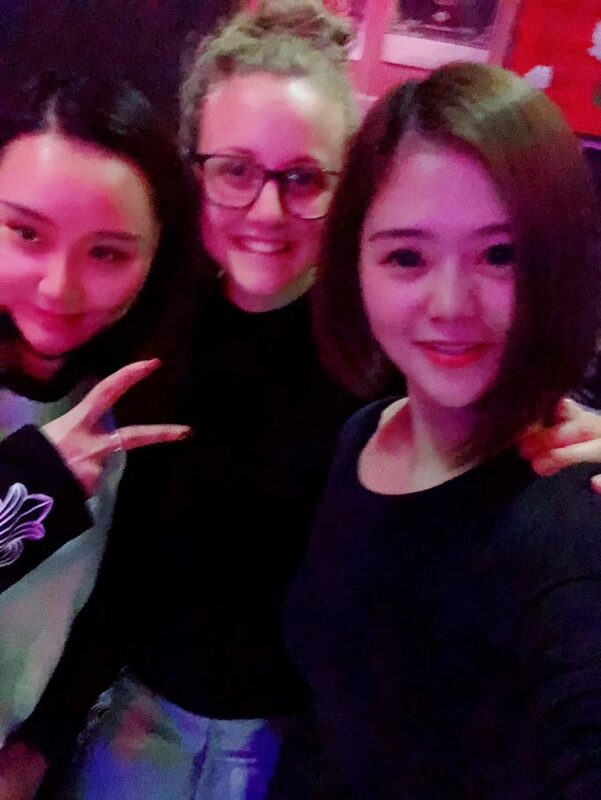 Met some locals who spoke English (ok the girls below didn’t speak English but we found a way to try and talk haha), which was fun – really good to get immersed in the local culture (and bars haha, classic Brit). Everyone was so friendly once we got chatting with them! 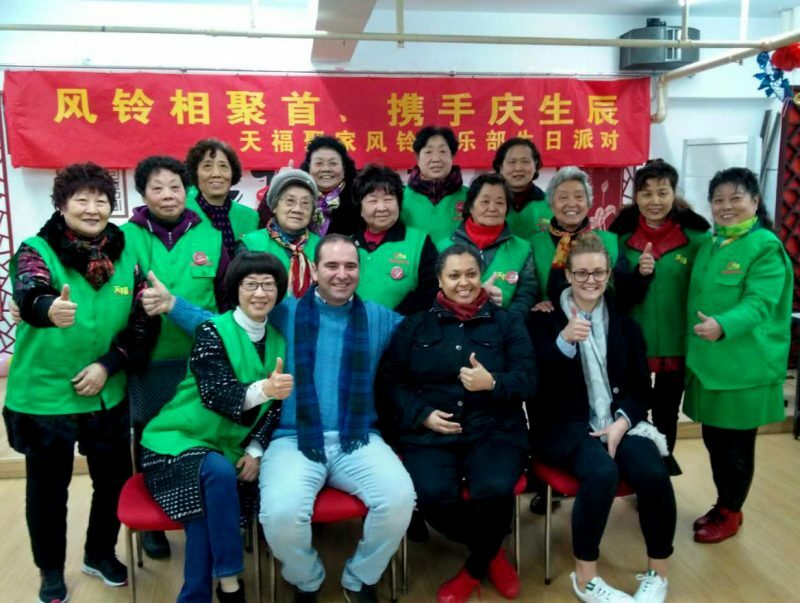 On Thursday morning, Tian Fu had invited us to one of their events – a quarterly birthday party they do for members celebrating their big day in those three months! As we’ve met members along the way, it was amazing seeing some familiar faces (so local). We were part of a summary video they showed for the Wind Bell Club (the group for this elderly who’ve lost their only child), and invited to perform on stage; we sang Happy Birthday to everyone and Sheree danced to Michael Jackson – it went down a treat! Friday morning kicked off at 6.30 with a 5km adventure run for Jimmy and I. Was really fun to get out running, found a cute park, Xinbei Center Park. Locals were out, walking, jogging and dancing – naturally Jimmy joined in! 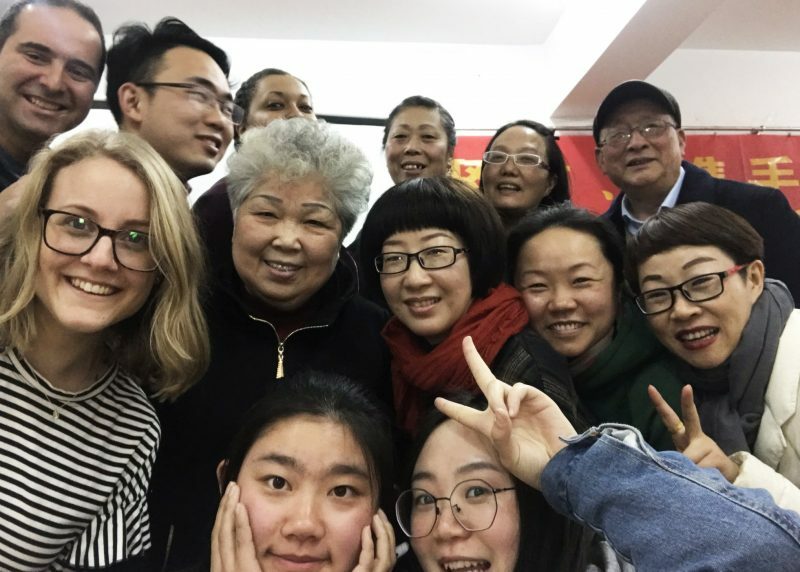 During the afternoon team 5 ran a workshop for Tian Fu volunteers to get their opinions on some of the processes we had identified during the past few weeks. It’s always total chaos when there are two languages, with translations and conversations happening all over the room – you have to keep everyone on the right track. Everyone loves a photo afterwards though! 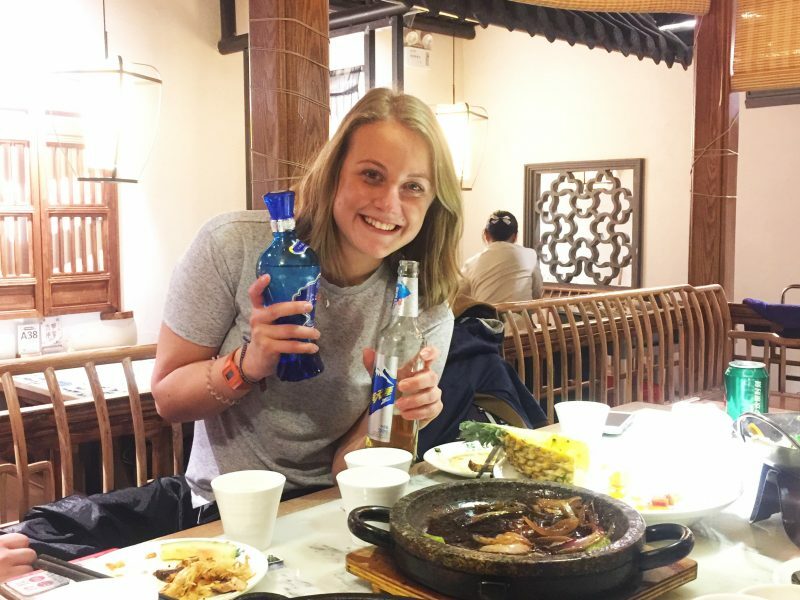 That night, a group of us had dinner at the shopping centre, followed by a couple of Friday night drinks, and just as I was pouring my beer, I was told it’s not ladylike for women to drink in China. That said, I really enjoyed my beer, and I even tried some of Lee’s Chinese wine – not to my taste. 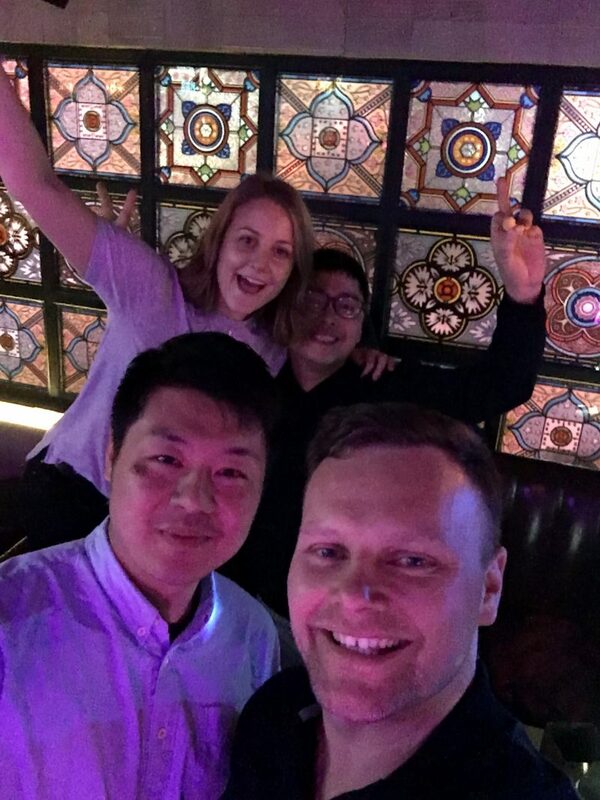 In another part of Changzhou, Jimmy was LOVING the Chinese wine at a meal with their client (see Laura’s post here). After some pool and drinks at the hotel later on, him and I bumped into our Tuesday evening friends back in Live Bar. Before you knew it we were boogeying with our Chinese pals at a CZ club downtown! A very adventurous end to the third week – told you, total locals.